As I slowly and gently picked up the feather as if it was not real, and almost in the manner of an altar boy handling a relic at Sunday mass, I thought about the majestic raptor it had fallen from and looked up and imagined it being present where I was now standing. I could see it hunting over the garden and looking over the fields as its feather dropped where I now stood. I felt honored to hold this gift in my hand and wondered in my own vulnerable human way if there was a message for me in this discovery. And why was I so fortunate enough to come across it on this day? 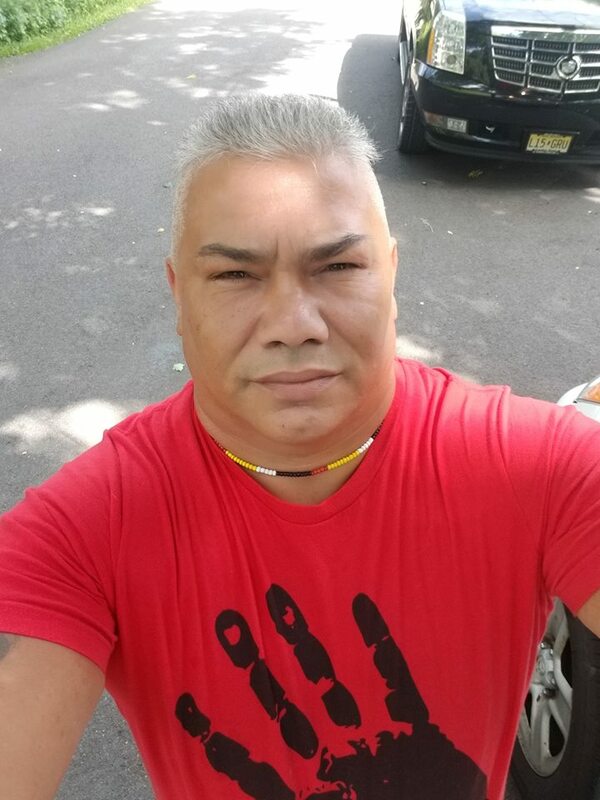 I thought I would ask a very special friend on what he feels finding a feather means, Chief Vincent Mann of the Great Ramapough Nation. “When I come across a feather I look at it as a gift from our creator,” Chief Mann told me. “As with all things within our native culture we use tobacco to offer thanks. So each time I am blessed with a feather I take a pinch of tobacco and offer a prayer,” he said. “Depending on the type of feather depends on what we do with them. 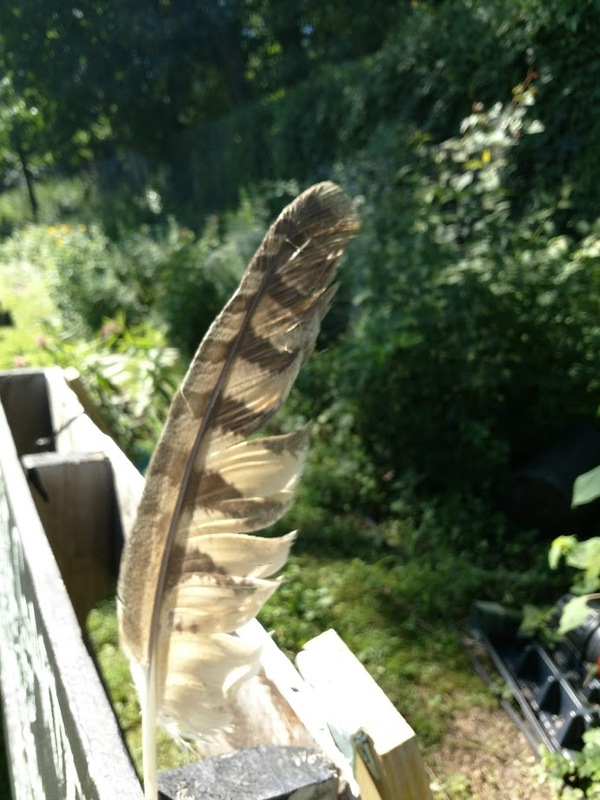 Sometimes we will tie it with sinew and use it as a smudge feather, yet other times knowing what type of bird the feather comes from and knowing what spiritual medicine the bird carries we will offer it to someone who is in need of that bird medicine. “Many people as well may think that a hawk feather may be more powerful than a dove, but this is far from the truth,” Chief Mann said. “Two years ago in Washington Park in New York City we witnessed a very large Red-tailed Hawk take a pigeon in midflight. As we watched nature in all its amazement the pigeon feathers began to fall around us. “We laid down tobacco and thanked our creator for these gifts, not yet knowing why we were blessed with then. We surely knew some time later…. So for me that connection to the winged ones soaring through the air sometimes so high as to take our prayers to our creator is of the most powerful and spiritual experience one could have,” the Chief said. For me this feather came at a time when I needed it most as many important messages do. Overtired, exhausted and wondering if people still even cared the feather reminded me that there are many things that still need to be done and that many good people truly do care. And especially that my temporary despair was a waste of time and should be just that: temporary. After all there are creatures in all their glory that have lived with us side by side since time immemorial that are now depending on all of us to protect them more than ever from all our human frailties. The Red-tail that gifted me with its feather is part of who we all are and in reality what we are truly about as humans. We cannot pretend they are not important or expendable and can just be sacrificed on a whim in the name of progress or indifference. 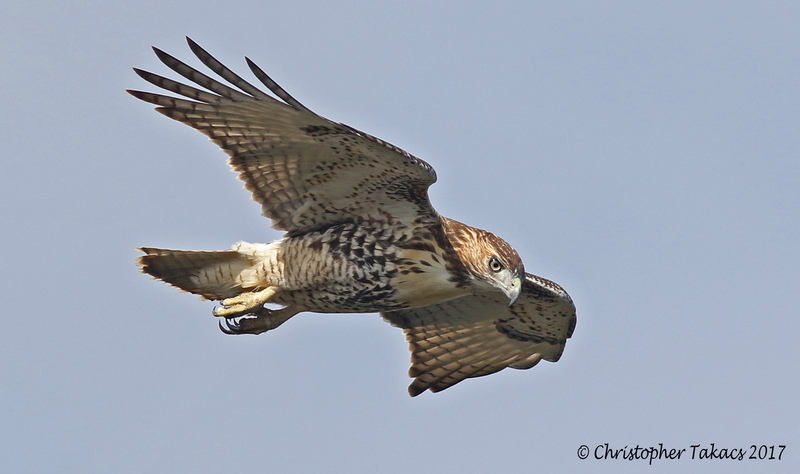 We cannot look the other way when this majestic raptor still hunts our skies and allow birds and animals like it to be lost from our lives for good. Native Americans believe that all creatures are our relatives. Maybe it’s time we treated them like our family, everything from the hawk to the Sparrow. Somehow finding a feather brings us instantly back to a more ancient time, when we wouldn’t have to think or decide if we might be getting some sort of message. We would just understand and know that the simple discovery of such an object really meant that it had actually found us instead. Perhaps it would be good for all of us to search for the special gift that will bring us back closer to nature where we all belong. Truly honored my friend, they are our relatives and just as we find ourselves conversing with them they speak to us as well. Your words keep me going..thank you Chief Mann ! Keep fighting the good fight! You inspire us all! Your work and efforts are appreciated by many of us.